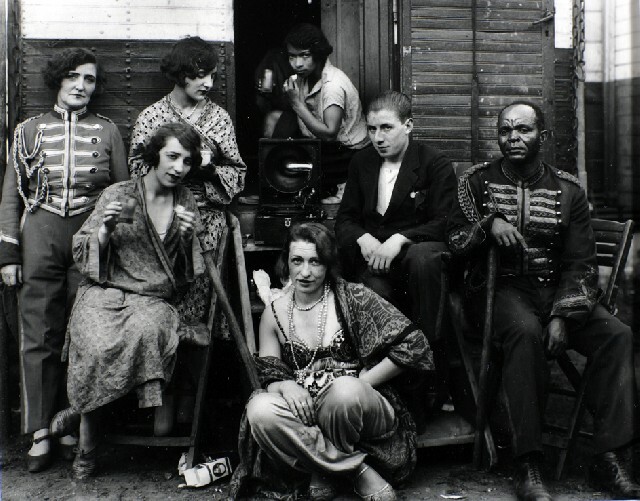 Circus People, 1930. Gelatin silver print. 21 x 25.5 cm. 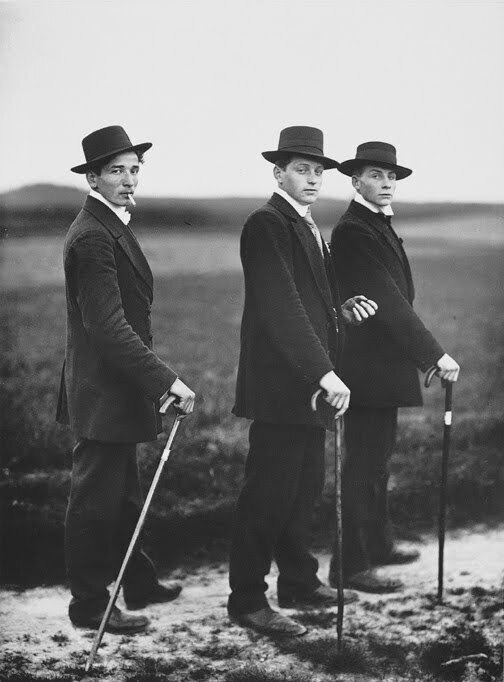 Young Farmers, 1913. Gelatin silver print. 29.7 x 22.1 cm. High School Student, Cologne, 1926. Gelatin silver print. 28.1 x 17.7 cm. 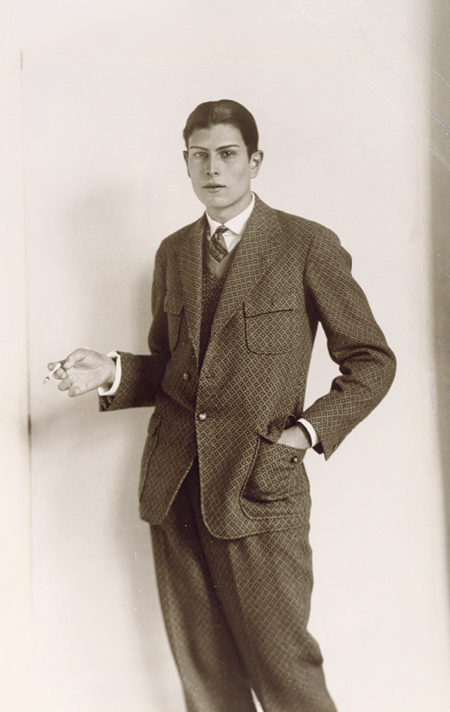 It was, and remains, at once so familiar and fresh I was breath-taken at August Sander's timeless aesthetic. I tried to reconcile my thrill from looking at his work with Sander's choosing to remain in Germany during World War II even after the Nazis destroyed thousands of plates of his negatives from which the above remarkably survived. "How often, in any century, in the face of political antagonism and moral hopelessness, financial crises and gross inequalities, does any kind of artist come along who succeeds in composing like this, with such purpose and determination, inspiration and influence?" Andrew Rose directs Andrew Rose Gallery.